I really enjoy spending time in the outdoors. 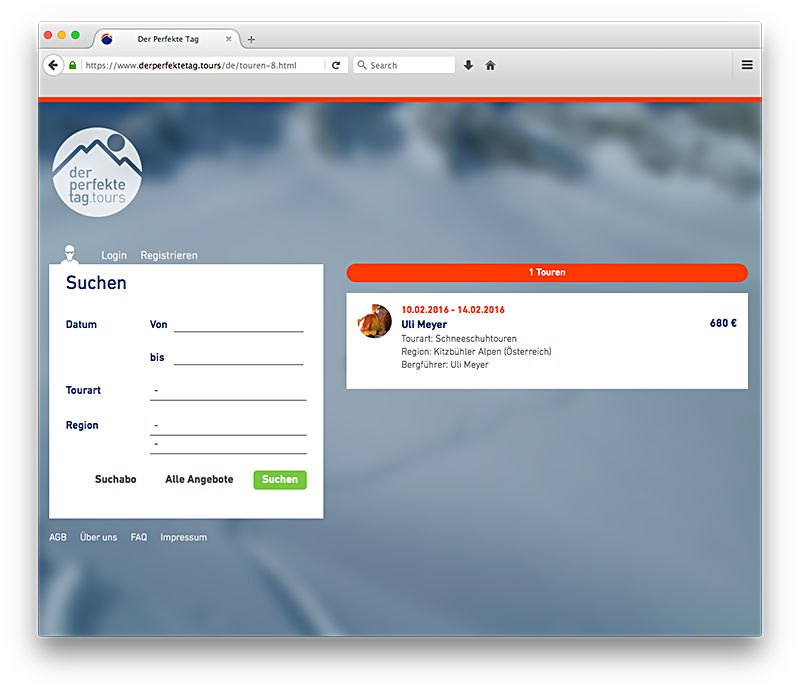 So when I was contacted by a local mountain guiding company, about being involved in developing an online-booking-platform for them, I jumped at the opportunity. The criteria was to make the process for guides publishing tours and people looking for tours as easy and streamlined as possible. The perfect day references a day outdoors, where all the circumstances are perfect. Something that can't be predicted far in advance. So the content of the website is quite spontaneous. 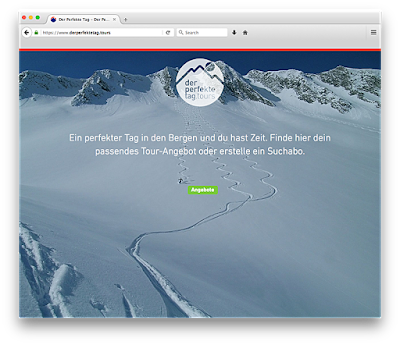 If a guide is somewhere in the Alps and the conditions are good for the forseeable following days, he or she can easily publish a tour to the site with a smartphone. Someone looking to go on a tour at a future date, i.e. during coming holidays, can also enter a wish into the system to which guides can respond when it is clear that conditions are good. We ended up developing a responsive website, with a paired down user-interface and a less-is-more-approach for the design. Try it if you're in Switzerland, Germany, Austria, France or Italy. The Site is currently only available in German, but in future it may also become available in other languages.